Big oil tankers sailing from the U.S. are set to bring along some benefits for refiners in Asia while allowing them to sidestep traders serving the world’s top crude-buying region. The new option to load oil into very large crude carriers at the U.S. Gulf Coast terminal operated by the Louisiana Offshore Oil Port, or LOOP, will reduce costs and waiting time for Asian buyers of American supplies, according to shipbroking firm Braemar ACM. It also reduces the need to rely on traders to manage complicated tanker logistics that sometimes involve multiple smaller vessels transferring crude into a bigger boat. The first fully laden supertanker sailed from America earlier this month, leaving for China from LOOP’s deep-water facility -- the only one in the U.S. capable of filling some of the industry’s biggest tankers. In the wake of an end to a four decade-ban on exports and as OPEC curbed output to clear a glut, a stream of shipments from the Gulf Coast headed east as major buyers such as India and South Korea looked farther for supplies. The ability to export via the big ships may prove a blow to traders and their role as middlemen at a time of increasing efficiency and improved market transparency. Until now, Asian refiners have mostly purchased U.S. oil that’s sold to them on a delivered basis by traders, who would source the cargoes, load them onto smaller vessels and arrange for out-at-sea transfers to supertankers that can’t enter the shallow berths of most American terminals. While it offers cost and time advantages, “the bigger win for Asian buyers, however, may be the ability for buyers to cut out the trader’s margin by using LOOP,” Anoop Singh, an analyst at Braemar ACM, wrote in a tanker-market report. 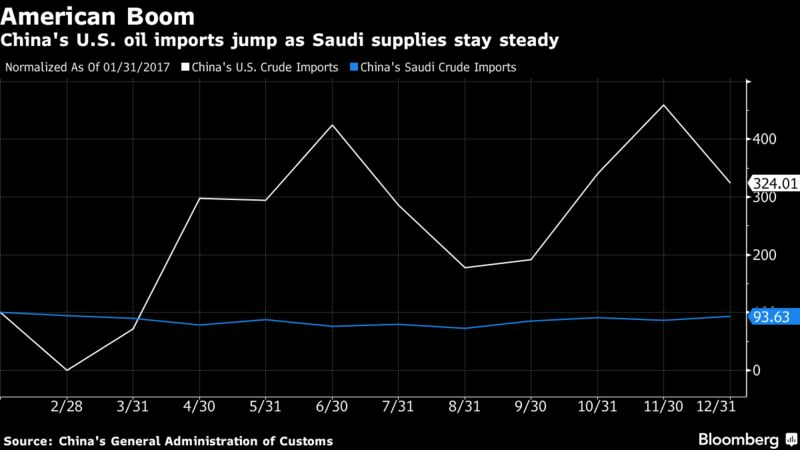 “This is because most buyers of U.S. crude in Asia take delivered barrels from traders, which have traditionally been better at managing” the shipping logistics, he said. To be sure, traders are unlikely to lose all their business. Braemar ACM expects LOOP shipments to average only 1 to 2 VLCCs a month, still leaving plenty of other opportunities for crude to be exported from smaller terminals. Loading about two million barrels of oil into a VLCC at LOOP could cut about $300,000 in direct costs -- or 20 cents per barrel -- compared with the current process of chartering several Aframax vessels to load barrels from inland berths and ship-to-ship transfers to larger tankers, according to Braemar ACM. Additionally, loading at the terminal also reduces the timeline to one day from the four days that’s currently needed. To sweeten the deal, LOOP is also willing to offer storage space in its tanks at discounted rates to enable exporters to collate enough volumes to fill a full VLCC. It has storage capacity of 71 million barrels, nearly as large as the 78 million barrels at U.S. oil hub in Cushing, Oklahoma, Singh said in the report. Based on the shipbroker’s estimates, U.S. exports have averaged 1.4 million barrels a day this year, rising from 2017 when 1 million barrels a day were shipped from its ports. About nine VLCCs a month departed during the fourth quarter of last year, with more crude bound for the east of Suez market. Those large ships were loaded using supply initially ferried by smaller tankers. The supplies exported via LOOP may be focused on crude of so-called medium-sour quality, Singh wrote in the Feb. 23 note. That’s due to direct pipelines linking the most abundant Gulf of Mexico fields such as Mars, Poseidon and Thunderhorse to LOOP’s storage terminal, bringing in more than 500,000 barrels a day of production. These are different in characteristics to light-sweet oil from shale fields, supplies from which have pushed American output to a record. West Texas Intermediate crude, the U.S. benchmark, traded at $63.54 a barrel at 5:22 a.m. in New York. Prices are up about 5 percent this year. The head of OPEC plans to dine with U.S. shale company executives on Monday in Houston, the second consecutive year that the secretary general has met with some of the cartel’s top rivals. "One of the lessons learned from this oil-price cycle is that as producers we are all in the same boat," Mohammad Barkindo said in an interview Tuesday. The dinner is scheduled to take place as thousands of oil and gas executives, traders, bankers and investors gather for the CERAWeek conference in Houston. 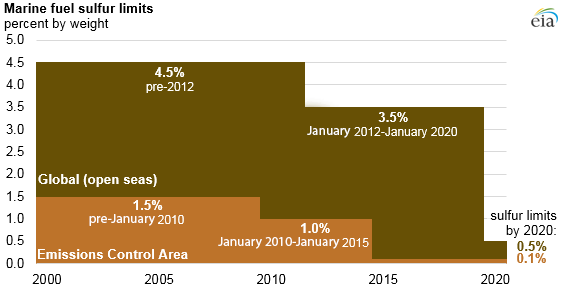 It comes as U.S. oil production surges past 10 million barrels a day. Barkindo dined with about two dozens U.S. shale executives on the sidelines of last year’s CERAWeek conference, including Scott Sheffield of Pioneer Natural Resources Co., John Hess of Hess Corp., Doug Lawler of Chesapeake Energy Corp. and Tim Leach of Concho Resources Inc. Since then, U.S. production has added more than one million barrels a day -- the equivalent of OPEC member Libya -- mostly due to booming shale output. "It’s a fulfillment of our common desire to continue the dialogue as agreed last year on the sidelines of CERAWeek," the OPEC boss said. For the Organization of Petroleum Exporting Countries, U.S. shale producers are a new source of competition, able to respond faster to price signals than traditional suppliers. The unusual 2017 dinner gathering opened a communication channel between the shale companies and OPEC countries. Barkindo said that OPEC and the U.S. shale industry acknowledged at their first meeting in 2017 a "shared responsibility" toward the oil market stability. "We intend to further explore the mechanic of achieving our common objective," he said. The meeting between Barkindo and U.S. shale producers was reported earlier by Reuters. 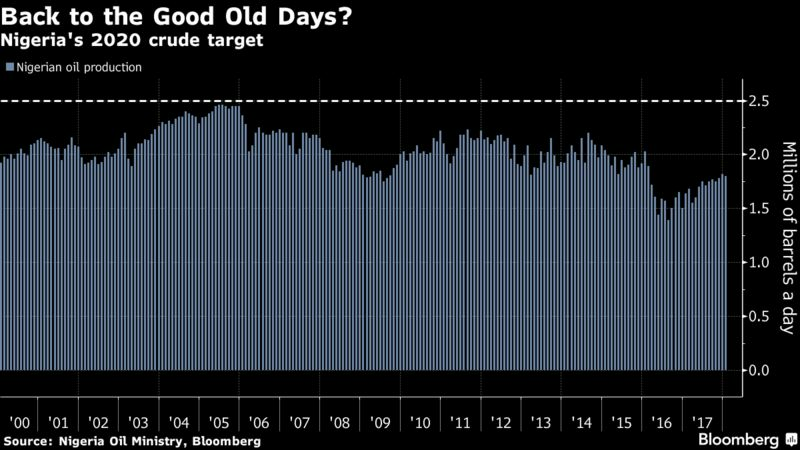 For all the talk of aging oil fields and shrinking production, the U.K. is about to achieve a surprising feat: it’s on the brink of becoming a net crude oil exporter for the first time in 14 years. To put the milestone into context, it’s one of the key criteria for joining OPEC. A handful of new projects in the North Sea that will come on stream this year will lift the nation’s crude output above 1 million barrels a day, according to JBC Energy GmbH, a Vienna-based forecaster. On a net trade basis, that will soon allow overseas sales to overtake imports, the researcher said, without specifying by how much, or when. “There is clear potential for the U.K. to return to being a net exporter again,” JBC said in a research note. While joining the Organization of Petroleum Exporting Countries is almost unthinkable in reality, the potential for net exports does highlight a rebound in U.K. crude production that once seemed in permanent decline. Output declined for consecutive years between 2000 and 2014, according to BP Plc, whose figures include natural gas liquids. The last year Britain shipped out more crude than it received was in 2004, according to Bloomberg calculations based on figures from the Joint Organisations Data Initiative in Riyadh. Output of 1 million barrels a day would exceed the average for 2017 by almost 10 percent. OPEC’s membership statute says that countries can only become members if they export “substantially” more than they import -- even if the producer club did show some flexibility in that regard to allow Indonesia to rejoin its ranks briefly in 2015/16. More fundamentally, nations must have similar interests if they want to join. And the U.K. doesn’t: Once processed fuels like gasoline and diesel are counted, it’s still a big net importer. The country’s economy is also based on financial services and other industries that are unrelated to the production of petroleum. The U.K. pumped an average 914,000 barrels of crude a day in 2017, preliminary data from the Paris-based International Energy Agency show. Last month, the nation was a net importer of crude by half a million tons, according to JODI. That equates to about 3.7 million barrels, or 118,000 barrels a day. North Sea production has received a recent boost from new developments, such as BP’s 130,000 barrel-a-day Quad204 and Premier Oil Plc’s Catcher 60,000 barrel-a-day fields. BP’s Clair Ridge and Statoil ASA’s Mariner project could add an additional 155,000 barrels-a-day when they start production in the first half of this year, according to JBC. It’s not unheard of for European countries to have a relationship with OPEC. In the late 1990s until 2001, the U.K.’s North Sea neighbor Norway sent “observers” to a number of OPEC meetings -- and the Nordic country even agreed to cut output along with the producer group in 2001. The country has since stopped the practice and declined invitations along with other non-OPEC members to the group’s gatherings. There’s clearly a demand for British oil from the North Sea, where global benchmark Brent crude is produced. 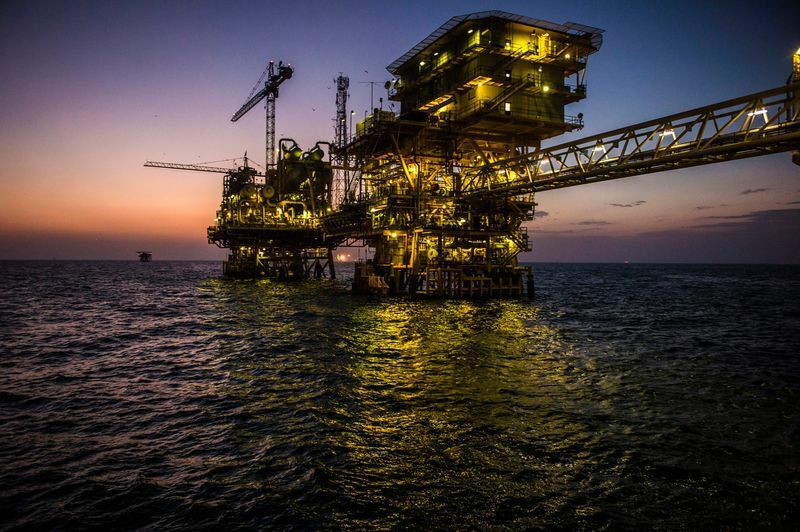 Refiners in the U.S. Gulf of Mexico are now buying the most oil from the U.K. since late 2010 as they seek to replace lost supplies from Venezuela, where output has collapsed amid an economic crisis. In addition, a Brent-laden tanker is now sailing for the U.S., which hasn’t received the grade in nine months. Much has changed since the U.K. last produced more than 1 million barrels a day in 2011, said JBC analyst Eugene Lindell. Refinery consolidation has cut the nation’s ability to process domestically by over 420,000 barrels a day. 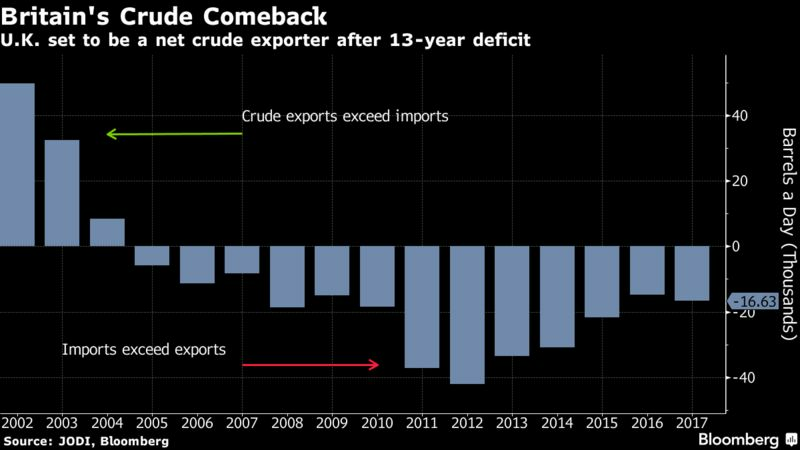 “The combination of rising supply and ailing demand is pushing the U.K. crude balance from one of deficit to surplus,” he said. Above is a map of the Barents Sea, Norway. Active and inactive production licensing blocks are shown along with the illustrated Norway – Russia maritime delimitation agreement that entered into force on the 7th of July, 2011. OSLO (Reuters) - Norway holds 40 percent more undiscovered oil and gas resources than previously estimated, the country’s petroleum agency said on Tuesday. The Norwegian Petroleum Directorate lifted the estimate for unproven resources by 1.13 billion cubic meters (7.1 billion barrels) of oil equivalents to 4 billion cubic meters from end-2016 estimate. The hike was caused by a reevaluation of the northern part of the Barents Sea, as well as the inclusion of an additional zone not previously counted until now -- the northern part of a an area bordering Russia’s offshore. Unproven resources constitute about 47 per cent of the total resources that remain on the Norwegian shelf, the agency said. China's crude oil imports from the US hit a new record high at 2.01 million mt or 474,450 b/d in January, General Administration of Customs data showed Monday. The volume was significantly higher than the last record high of 1.18 million mt or 289,443 b/d registered in November last year. Unipec, the trading arm of Asia's largest refiner Sinopec, said it would raise its shipments from the US to China by around 80% to 10 million mt in 2018, from 5.57 million mt last year, Sinopec said on the mobile app WeChat Monday. The volume brought in by Unipec accounted for 72.8% of China's total US crude imports in 2017, and 10% of US crude exports, making it the largest trading company for US crudes in the Asia Pacific, Sinopec said. China imported 7.65 million mt of US crude in 2017, averaging 153,709 b/d. Almost 40% of US crude exports have gone to China in 2017 compared to around 20% the previous year, according to Platts estimates. Sinopec said more than 10 of its refineries in China have processed US crude grades, as they diversify feedstock sources. Moreover, the US has been improving its infrastructure for exporting crude. Sinopec expects to see more VLCC cargoes directly exported from the US in the near future. The Shaden, the first VLCC to directly load a crude cargo at the Louisiana Offshore Oil Port, departed the terminal February 18 carrying US crude to China, S&P Global Platts trade flow software cFlow showed. According to cFlow, the tanker is estimated to arrive at Rizhao port early April, which is a key port in eastern China shared by Sinopec's refineries in the central and independent refineries in the east. Crude has been exported on VLCCs from the US Gulf Coast via reverse lightering operations, with smaller vessels carrying the cargo to load the carriers offshore. The LOOP terminal is currently the only US port capable of fully loading a VLCC. Loading a VLCC via lightering typically requires three to four Aframaxes to perform offshore ship-to-ship transfers. Direct loading of a VLCC would cut out the lightering operations. Houston-based Citgo Petroleum has slowed work on an overhaul of its 235,000-barrel-per-day Aruba refinery due to a lack of financing stemming from U.S. sanctions on Venezuela's state-run PDVSA, the refining firm said. Sanctions imposed last year by the United States on Venezuela have limited access to long-term credit for PDVSA and its subsidiaries, affecting many oil projects in the South American country and Caribbean islands where they operate. "Citgo Aruba ... needs to slow down the refinery revamp project due to sanctions by the U.S. government on PDVSA which are not allowing us to get additional financing for the project," the unit said in a press release late on Tuesday. The Caribbean refinery has been leased since 2016 by Citgo, the U.S. refining subsidiary of PDVSA, under a 25-year agreement with the Aruba government that also includes an extensive $685 million overhaul aimed at restarting operations at the inactive refinery and converting the facility to a crude upgrader. "We are working hard to find a solution and hope to fully resume the project in the near future," said James Cristman, Citgo's refining vice president, in the release, adding that 600 workers had been hired for the project. Citgo Aruba did not say how long work would be delayed at the refinery, which has remained idle since 2012. The Aruba government declined to comment. At the end of 2016 two consortia, including Japanese engineering firm JGC Corp and French oil services company Technip, were shortlisted to handle the refurbishment. Months later Citgo asked its cash-strapped parent company PDVSA to provide initial funding of $100 million, according to an internal document seen by Reuters, but the credit was not granted and there has been little progress since then due to the lack of financing. (Reporting by Sailu Urribarri in Jacksonville, written by Marianna Parraga; Editing by Tom Brown). America’s booming crude production is bypassing its biggest storage hub. 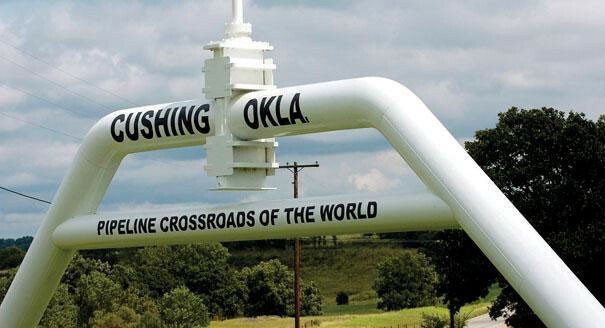 An enticing market for US crude exports, new pipelines increasing shipping options, and elevated refining demand have contributed to dwindling stockpiles at Cushing, Oklahoma. Supplies at the hub, the delivery point for the benchmark US futures contract, have nearly halved since November and now stand at a three-year low. An end to the US crude export ban in 2015 opened global markets to booming shale production. Traders and producers are making money by moving oil to the Gulf Coast for export, instead of storing it in Oklahoma. Enterprise Products Partners LP sees US exports reaching about 4mn bpd by 2022 and Morningstar Inc sees new pipelines in the works to add to crude export capacity. Pipelines such as the 200,000-bpd Diamond line running to Memphis, Tennessee, from Cushing combined with reduced flows on the Keystone pipeline has also led to declining stockpiles. US refiners have been processing more crude since Hurricane Harvey hit the Gulf Coast in August, knocking key process units offline and preventing refiners from churning out product. Following the storm, Cushing inventories expanded for eight straight weeks. Refiners have been making up for the losses, ratcheting up demand since that time. “There are obviously some clear factors involved in the drainage of Cushing stocks-very high refinery demand and new pipeline capacity,” said Harry Tchilinguirian, head of commodity markets strategy at BNP Paribas SA in London. “On the other hand, is this going to continue forever? The likelihood is no because of strong growth in domestic production driven by shale.” The latest Energy Information Administration report showed Cushing supplies fell by 3.64mn barrels, while crude production surged to a fresh record. US Gulf Coast stockpiles mounted higher for a fourth week, the longest stretch of increases in almost a year. At the same time, US crude exports have largely held above 1mn bpd since September and are forecast to surge even higher. Meanwhile, the nation’s top imports terminal is testing one of industry’s biggest tankers to load an export cargo for the first time. If the trial run signals the start of regular exports from Louisiana Offshore Oil Port, it could reshape the US export picture. Venezuelan President Nicolas Maduro promised on Saturday to recover 70 percent of the country's lost oil production in the first half of 2018. "I can tell you, the unprecedented injustices led to an important fall of a million barrels of oil," Maduro said in an interview with state television without giving more specific figures or defining a time period for the output decline. "I think that in the first half of this year, we will have recovered 70 percent of production," he said. Venezuela's oil production dropped by nearly 13 percent last year according to figures released by OPEC in January, hitting a 28-year low that suggested a deepening economic crisis and increased chances of a debt default. Venezuela produced 2.072 million barrels per day (bpd) in 2017 compared with 2.373 million bpd the previous year, registering a near 300,000 bpd drop. 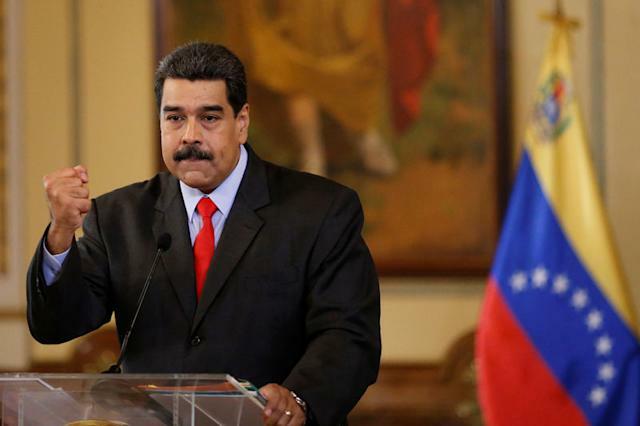 Maduro has criticized an "economic war" led by the United States as well as corruption in the state oil company PDVSA for shrinking production. Tanker Recycling - Pakistan tanker re-opening becoming closer? 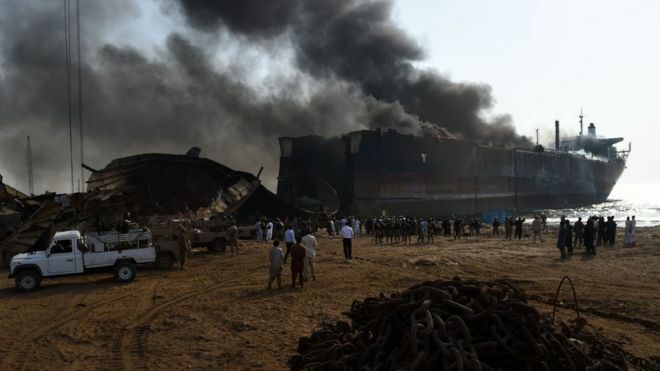 Last week, on the back of a meeting between the Pakistan Ship Breakers Association (PSBA) and local authorities, ongoing rumours about Pakistan re-opening its yards for tankers within the next month began to further intensify. This news may well be greeted with the usual degree of cash buyer speculation that has been frequently seen in the recent past. However, the reality is that the Pakistan market has also softened in recent weeks and an influx of tanker candidates is hardly going to help in boosting levels from Gadani Buyers, GMS said in its weekly report. Sinokor continued a clear-out of older tonnage with the sales of a Capesize bulker (a highly sought after and rare breed of vessels these days) and an Aframax, at some unsurprisingly bullish levels. Moreover, given the spate of fixtures through 2018, there was another VLCC concluded on private terms last week, to swell the growing ranks of unsold tonnage available, and perhaps another sign that cash buyer confidence on a Pakistan re-opening maybe well-founded. Prices have remained stagnant for several weeks, with marginal declines witnessed in both India and Pakistan, while Bangladesh was just about holding onto its levels, through what has been an overall underwhelming start to the year for Chittagong buyers. Finally, Chinese New Year holidays interrupted the flow of deals and deliveries (as minimal as they were) last week and it may be a stilted week ahead, as people slowly drift back to work from their various holidays, GMS concluded. The VLCC mentioned above was the 1994-built ‘Yangtze Star’ believed committed for about $430 per ldt on the basis of ‘as is’ Fujairah, while the Aframax was said to be the ‘Pacific Pioneer’ reported sold to Bangladesh or Indian interests for $455/$460 per ldt. Even Saudi Arabia wants in on the U.S. oil boom. 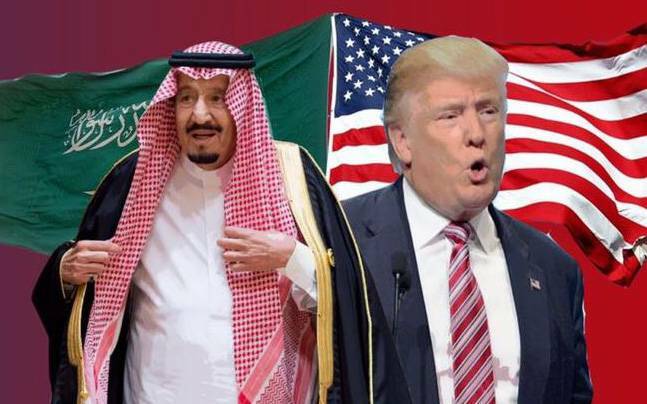 The kingdom’s state oil firm considered the possibility of sending American crude to Asia in February via a U.S. unit before determining it wasn’t economically viable, according to a person with knowledge of the matter. 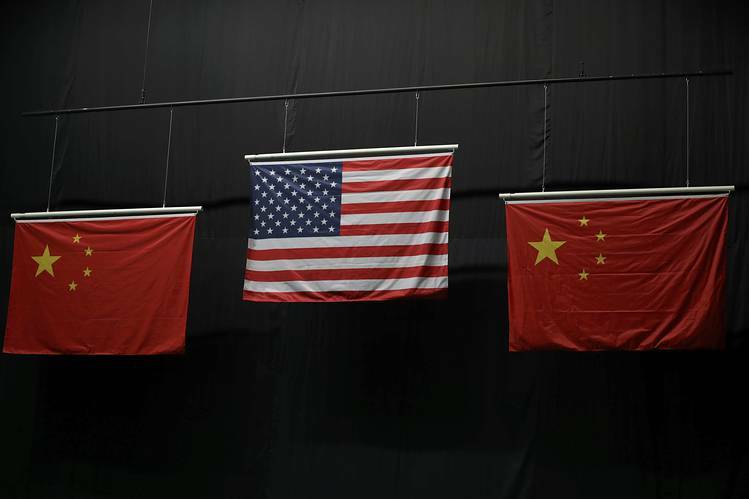 It also asked potential buyers in Asia if they would be interested in U.S. supply, according to officials at two regional refiners. The people asked not to be identified because the information is confidential. The fact that the Saudis decided against moving a cargo to the world’s biggest oil consuming region this month doesn’t mean they won’t consider it again. Such a sale would be unprecedented, and a potential strategy by the Middle East nation in the face of rising U.S. production. American supplies are proving a threat to efforts by the OPEC producer and its allies to clear a global glut and prop up prices. State-run Saudi Arabian Oil Co., known as Aramco, considered shipping the U.S. crude to Asia via its Houston-based Motiva Enterprises unit, which operates North America’s largest refinery in Port Arthur, Texas, with a crude capacity of more than 600,000 barrels a day. Aramco didn’t respond to an email seeking comment. Relatively cheap U.S. crude has increasingly been making its way to major consuming nations such as China, India and South Korea over the past year and eating into the market share of traditional suppliers like Saudi Arabia. While American oil is still a fledgling in Asia, Aramco is attempting to take advantage of the opportunities presented by the U.S. shale boom that has transformed the flow of cargoes in the global market. This week, the price of the benchmark U.S. oil went above the Middle East marker Dubai for the first time in more than a year. This recent rising strength in West Texas Intermediate may have played a role in scuppering the potential shipment from the Gulf Coast. “At current levels, the strength in WTI relative to Dubai prices doesn’t justify arbitrage flows of U.S. crude into Asia,” said Nevyn Nah, an analyst at industry consultant Energy Aspects Ltd.
WTI in New York traded at $61.27 a barrel at 6:50 p.m. Singapore time. Prices have risen more than 40 percent since June. The Suezmax tanker AST Sunshine, provisionally sought to transport crude from the U.S. to Asia, failed to be finalized for the journey, according to shipping data compiled by Bloomberg. The vessel was meant to transport 130,000 metric tons of crude loading in late February from the U.S. Gulf Coast, bound for Singapore and Ningbo in China. As Aramco prepares for what could be a record initial public offering, it’s announced plans to expand its trading business by buying and selling non-Saudi crude. The IPO is the centerpiece of the kingdom’s plan to wean its economy off oil. The government has estimated the share sale could value the company at $2 trillion, though analysts make lower estimates. Oil was found flowing naturally for the first time ever onshore in Jamaica at two locations in what could be a door opener in the Caribbean, companies said. Two companies, the Petroleum Corporation of Jamaica and CGG GeoConsulting, said oil was found flowing at two sites during petroleum field work. "This significant find marks the first documented occurrence of 'live', or flowing, oil from onshore Jamaica and will be of particular interest to oil explorationists focused on Central America and the Caribbean," they said in a joint statement. Jamaica is considered frontier territory for oil and gas explorers. Tullow Oil, a British company that focuses in part on pioneer opportunities, has a license there from 2014 in shallow waters on the south of the island nation. According to Tullow, oil and natural gas were seen in 10 of the eleven onshore and offshore wells drilled in Jamaica to date. The company said it was still reviewing seismic data that's used to get a better understanding of the reserve potential. In November, the company sold off a 20 percent stake in its full-operating interest in a license area in Jamaica, but secured a license extension so new seismic surveys could begin in April. "The discovery of these seeps indicates the presence of working petroleum systems on the island that are generating and expelling liquid hydrocarbons to the surface," CGG GeoConsulting and the Petroleum Corporation of Jamaica announced. To the north in Cuba, authorities there issued the consent necessary for Australia's Melbana Energy to move forward with plans for oil drilling onshore. The company's Alameda-1 prospect near the northern coast of Cuba is targeting a reservoir with more than 2.5 billion barrels of oil in place. While an Aramco IPO continues to grab the headlines, Saudi Arabia is quietly getting on with the business of weaning itself off a dependence on crude oil exports, with flows of refined products soaring and direct burning of crude near multi-year lows, writes Bloomberg oil strategist Julian Lee. Data for December from the Joint Organisations Data Initiative in Riyadh show that Saudi Arabia is continuing to make progress in reducing its dependence on crude oil for export and power generation, with its refinery inputs hitting a new high and direct crude use near the lowest since 2009. Crude’s share of total Saudi oil exports was 82 percent on average in the last three months of 2017, down from 92 percent in the final quarter of 2013. Comparing the two periods, crude oil exports fell by 650,000 barrels a day, while daily overseas sales of refined products increased by 876,000 barrels. Refinery crude intake rose to 2.83 million barrels a day, the highest in JODI data going back to January 2002. A new 400,000 barrel a day refinery under construction at Jazan on the southern Red Sea coast will boost the kingdom’s crude intake and refined product exports when it comes into operation in 2021. Direct use of crude oil was 260,000 barrels a day in December, just 8,000 barrels above the January 2017 level, which was the lowest since April 2009, according to JODI data. The kingdom boosted gas use in power generation with the start of the Wasit gas plant in March 2016. The country is now in talks with Russia and others to import natural gas in order to cut oil use further. Meanwhile, the search for domestic gas resources goes on. Baker Hughes international data show more rigs drilling for gas than for oil in Saudi Arabia in January for first time in seven years. While Nigerian government officials say one thing and independent producers are doing the opposite, the rest of the oil-producing world is looking nervously on, hoping that other countries won’t begin to follow Nigeria’s lead and ramp up their own production, causing the tenuous OPEC deal to fall apart. MO has agreed to move forward with prohibiting the carriage of fuel oil for use on board ships, when it is not compliant with the new low sulfur limit, which comes into force from 2020. The 0.5% limit on sulfur in fuel oil on board ships (outside designated ECAs, where the limit is 0.1%) will come into effect on 1st January, 2020. To help ensure consistent implementation of this regulation, IMO’s Sub-Committee on Pollution Prevention and Response (PPR), which met between 5th-9th February, agreed draft amendments to MARPOL Annex VI to prohibit the carriage of non-compliant fuel oil, such that the sulfur content of any fuel oil used or carried for use on board ships shall not exceed 0.5%. The exception would be for ships fitted with an approved ‘equivalent arrangement’ to meet the sulfur limit – such as an exhaust gas cleaning system (EGCS), which are already allowed under regulation 4.1 of MARPOL Annex VI. These arrangements can be used with ‘heavy’ high sulfur fuel oil as an EGCS cleans the emissions and therefore can be accepted as being at least as effective at meeting the required sulfur limit. Under regulation 3.2 of MARPOL Annex VI a ship undertaking trials for ship emission reduction and control technology research can be exempted by a signatory to Annex VI. The Sub-Committee forwarded the proposed draft amendments to the MEPC 72 meeting in April, 2018, for urgent consideration. Once approved, the draft amendments could be adopted at MEPC 73 (October, 2018) and could enter into force on 1st March, 2020 - two months after the 0.5% limit comes into effect. The urgency of the matter was recognised to the extent that MEPC 72 will be requested to consider whether the output on ship implementation planning for 2020 from the PPR inter-sessional meeting in July, 2018 should be forwarded to MEPC 73. Consistent implementation of the 0.5% sulphur limit for all ships will ensure a level playing field is maintained, with the result that the expected improvement of the environment and human health will be achieved, IMO said. In addition, the IMO has been looking at how to measure and report on Black Carbon emissions, as part of its work to consider the impact on the Arctic of emissions. The Sub-Committee agreed the reporting protocol for voluntary measurement studies to collect Black Carbon data, as well as most appropriate Black Carbon measurement methods for data collection. The Sub-Committee encouraged member states and international organisations to continue to collect Black Carbon data, using the agreed reporting protocol and the agreed measurement methods, and submit relevant data to the next session of the Sub-Committee. PPR also agreed draft 2018 Guidelines for the discharge of exhaust gas recirculation (EGR) bleed-off water, for submission to MEPC 73, with a view to adoption. Also agreed were draft amendments to the NOX Technical Code 2008 relating to certification requirements for selective catalytic reduction (SCR) systems. In addition, PPR considered matters relating to the implementation of the Ballast Water Management Convention. Draft guidance on system design limitations of BWMS and their monitoring, was agreed, for submission to MEPC 73 with a view to approval. Meanwhile, the Sub-Committee invited submissions to the next session on specific examples of contingency measures acceptable to port states and implemented by the shipping industry, which could then be included in an annex to the guidance on contingency measures under the BWM Convention; and further submissions related to ports with challenging water quality. PPR agreed to draft Guidelines for the use of electronic record books under MARPOL, for submission to MEPC 73 for consideration, with a view to approval in principle and subsequent adoption at MEPC 74, in conjunction with associated draft amendments to MARPOL and the NOX Technical Code. The Sub-Committee also completed its revision of the IBC Code, including revised product lists and index. The revised chapters 17 (summary of minimum requirements), 18 (list of products to which the code does not apply), 19 (index of products carried in bulk) and 21 (criteria for assigning carriage requirements for products subject to the IBC Code) and other amendments will be forwarded to MEPC 73 and to the Maritime Safety Committee (MSC 100) later this year for approval and subsequent adoption. 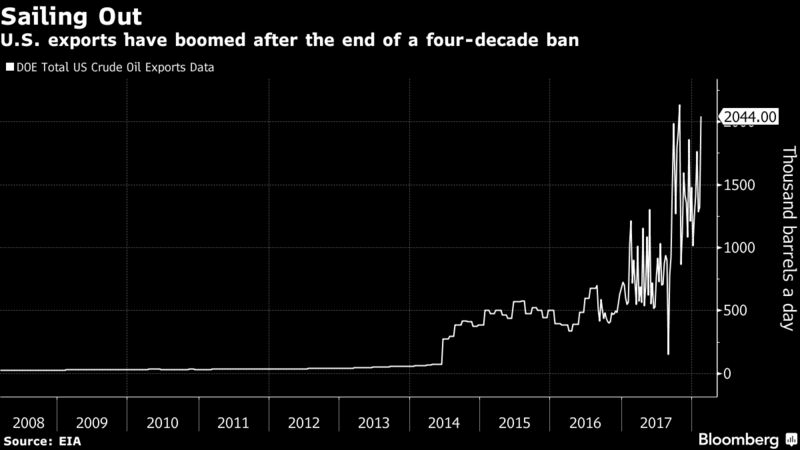 Add independent Nigerian drillers to the list of oil producers itching to supply more crude at a time when OPEC and allies like Russia are trying to restrict output and prop up prices. Domestic Nigerian producers are aiming to pump almost 250,000 barrels a day more crude by 2020 as part of a wider plan for the nation to lift output to 2.5 million a day, Oil Ministry data show. Shoreline Group, the third-biggest independent, wants to double output by December with Seplat Petroleum Development Co., the second-largest, also intending to produce more. They are planning to add barrels at the same time as Nigeria participates in a global pact to restrict oil supply that’s being led by the Organization of Petroleum Exporting Countries and non-member nations including Russia. If any one country relents -- and similar internal pressures are bubbling up elsewhere -- then the entire deal could come under strain. Countries and companies both inside and outside OPEC are looking to add production. Iraq is building infrastructure to allow a huge increase in capacity, while Iran’s oil minister has said the country can produce more almost instantly. An Angolan field will come on stream by year end and add 250,000 barrels daily, while companies in Russia pushed to pump more before the country renewed its supply-curbs deal with OPEC late last year. Along with Libya, Nigeria’s involvement was critical when OPEC agreed with non-member producers to extend global curbs to oil production until the end of 2018. It pledged not to let output exceed 1.8 million barrels a day in 2018. The country’s total planned increase is 700,000 barrels a day. Just over a third will come from the state-run Nigeria Petroleum Development Co., a third from independents, and the remainder from oil majors. The expansion depends, among other things, on peace being maintained in the Niger Delta. A militant group said last month it would attack oil and gas facilities. One probability is at least some of the extra Nigerian supply will end up feeding the Dangote oil refinery, the continent’s largest, which is due to start operating next year. While doing that would help rid Nigeria of its dependence on fuels produced overseas, it wouldn’t extricate the country from its commitments to OPEC. Back in 2016, Shoreline had to cancel a planned $500 million Eurobond. With oil prices rallying, the company is making a comeback. It agreed a $530 million deal with financiers led by Vitol Group, the world’s biggest independent oil trader, as it seeks to double crude output to 100,000 barrels a day by year end. “It represents a massive vote of confidence in the future growth of our operations and of Nigerian upstream producers,” Kola Karim, chief executive officer of Shoreline, said in an interview. Shoreline’s progress mirrors that of other Nigerian independents. Seplat, said to be among companies bidding for Petroleo Brasileiro SA’s African oilfields, expects to ramp up drilling this year after output recovered from militant attacks and low prices, according to company statements. 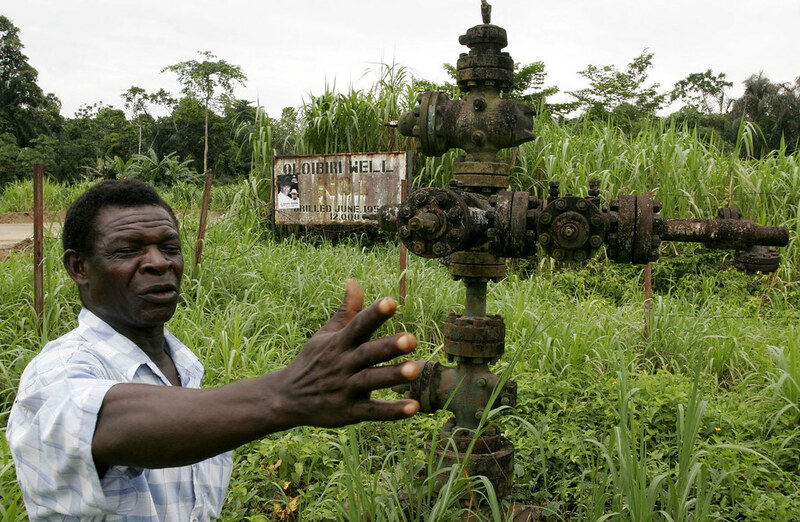 There are at least a dozen small to mid-sized Nigerian producers pumping between 5,000 and 100,000 barrels each day. Together, they plan to add incremental supply of at least 150,000 barrels a day this year. Aiteo E & P Ltd., Nigeria’s largest independent, didn’t immediately comment about its expansion plans. Half a decade ago, these producers were hailed as the future of Nigeria’s production because of their potential to pump 40 percent of the OPEC member’s output. They had bought oilfields that hold at least a third of the West African nation’s 37.5 billion barrels of crude reserves from companies including Royal Dutch Shell Plc, Total SA and Eni SpA. Their day may still come. The OPEC deal is currently in place until the end of this year and global demand is rising fast. The International Energy Agency this month revised up its growth estimate for world oil consumption by 100,000 barrels a day, taking it up to 1.4 million. Workers connect drill bits and drill collars, used to extract natural petroleum, on Endeavor Energy Resources LP's Big Dog Drilling Rig 22 in the Permian basin outside of Midland, Texas. Oil prices have skyrocketed around 40 percent since the middle of 2017, with Brent crude rising to multi-year highs above $71 a barrel, before a pullback last week wiped out its gains for 2018. The main price driver has been an OPEC-led supply cut from major oil-producing group OPEC, which started to withhold output in January last year. "This year, however, (OPEC's) production curbs will increasingly have to make do with playing second fiddle to a Texas-sized wave of U.S. shale growth," Stephen Brennock, oil analyst at PVM Oil Associates, said in a research note Wednesday. U.S. shale producers are churning out crude oil at such a relentless pace that the country will soon become the most influential player in the energy market, according to an analyst. "Few can dispute that 2017 belonged to OPEC after it successfully reasserted its pricing influence over the oil market," Stephen Brennock, oil analyst at PVM Oil Associates, said in a research note Wednesday. "This year, however, its production curbs will increasingly have to make do with playing second fiddle to a Texas-sized wave of U.S. shale growth," he added. The main price driver has been an OPEC-led supply cut from major oil-producing group OPEC, which started to withhold output in January last year. The production cuts agreed by Saudi Arabia, Russia and 10 other allied producers are aimed at clearing a supply overhang and propping up prices. The deal is scheduled to last throughout 2018. However, rising U.S. crude exports and a stronger-than-anticipated price rally in recent months have threatened to loosen Russia and Saudi Arabia's grip on key overseas markets. In a closely-watched monthly report published by the International Energy Agency (IEA) on Tuesday, the Paris-based organization said a rise in global oil production — led by the U.S. — was on track to outpace growth in demand this year. "Even though oil stocks are fore¬cast to draw this year, non-OPEC growth supply will still exceed the growth in global oil demand. This is hardly a supportive environment and is not conducive to a sustained price recovery," Brennock said. The IEA also forecast that the U.S. would be well-placed to overtake the likes of Saudi Arabia and Russia as the world's leading energy producer by 2019. Recent U.S. government data showed that American drillers began pumping more than 10 million barrels of crude oil daily in November, more than top OPEC producer Saudi Arabia. Shell will claim the continental US' first true VLCC export of crude -- an export without the need for reverse lightering -- when the vessel Shaden sails from the Louisiana Offshore Oil Port later this week laden with a medium sour crude, according to market sources. The Louisiana Offshore Oil Port said late Monday it "has moored a VLCC and initiated its detailed test and checkout procedure." The Shaden will receive crude from LOOP's newly bidirectional pipeline connecting LOOP's onshore infrastructure with an offshore deepwater mooring station. 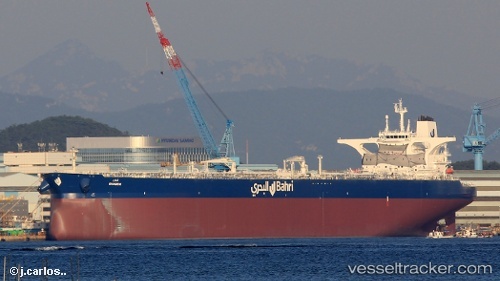 Market sources said Shell chartered the Shaden, a Saudi Arabian-flagged VLCC owned by Bahri (the top VLCC owner globally) that entered service at the end of 2017, and will take the crude into its refining system. Market sources were split on what grade Shell is taking, with two saying offshore Gulf of Mexico, Shell-produced Mars and another two saying the crude blend LOOP Sour. Both Shell and LOOP declined to comment. The Shaden was seen Tuesday at LOOP's offshore mooring stations and arrived there February 11 from the Offshore Galveston Lighterage Zone, according to Platts vessel-tracking software cFlow. It arrived at OGLZ on February 3 after having sailed from Ras Tanura, Saudi Arabia, the loading port for Saudi crudes Arab Heavy, Medium, Light and Extra Light. The LOOP deepwater port comprises three single-point mooring buoys and a marine terminal about 18 miles offshore in 110 feet of water. A 56-inch-diameter line (100,000 barrels/hour) connects the marine terminal to an onshore pumping facility, which moves the oil 25 miles inland to a terminal with above-ground and underground storage, also known as Clovelly Hub. Over the past several months, that 56-inch line was converted to become bidirectional, which preserves LOOP's traditional business of receiving crude while adding the ability for LOOP customers to export as well. LOOP, which began operations in 1981, is the first and only deepwater oil port in the US. It is presently the only US oil facility capable of offloading vessels as large as VLCCs and ULCCs, as well as a range of smaller vessels such as Aframaxes, MR tankers and Articulated Tug Barges. LOOP is owned and operated by LOOP LLC, a joint venture of Marathon Pipe Line, Shell and Valero. LOOP is likely to continue to be the only USGC port capable of VLCC exports. The Port of Corpus Christi and one of its tenants, Occidental Petroleum-subsidiary Occidental Energy Marketing, are separately working on projects that will allow VLCCs to be partially laden up to 1.2 million to 1.4 million barrels (about 60%-70% full); however, there are currently no announced projects that will allow fully laden VLCCs elsewhere along the USGC. LOOP's ability to do so removes the need to send crude to St. James, Louisiana, via the 48-inch LOOP-operated LOCAP pipeline, which saves about 8-9 cents/b. It further cuts reverse lightering costs from arbitrage calculations and export math. The daily Aframax rate is currently around $300,000-$340,000, according to market sources, which would be roughly 60-68 cents/b. Texas and Louisiana exported about 891,000 b/d in 2017, or about 81% of total US crude exports, according to US Census data. Exports were particularly strong in Q4, averaging 1.4 million b/d out of Texas and Louisiana, or 90% of the US total. Market sources were split on whether Shell would take Mars or LOOP Sour. Platts assessed Mars at a $1.65/b discount to March cash WTI, while LOOP Sour was a further 80 cents/b cheaper, or cash WTI minus $2.45/b. "Shell is a big seller of Mars, but a buyer of domestic sours, such as LOOP Sour," a trader said late Monday. Shell is the majority owner of the Mars field, with BP owning the minority stake. Mars is typically 29.4 API, 1.95% sulfur, and it delivers into the Clovelly Hub, another name for LOOP. LOOP Sour is comprised of the US Gulf of Mexico grades Mars and Poseidon and a crude blend called Segregation 17, into which the Middle Eastern grades Arab Medium, Basrah Light and Kuwait Export Crude can be delivered. LOOP Sour is typically 30.1 API, and 2.33% sulfur. Basrah Light accounted for 28% of all waterborne imports at LOOP (about 113,000 b/d) in 2017 compared with 17% for Kuwait (67,000 b/d) and 8% for Arab Medium (32,000 b/d). It is important to note that not all LOOP Sour-deliverable crudes that arrive at LOOP will be delivered into the LOOP Sour cavern. LOOP pipeline receipts of Mars and Poseidon are not available; however, Platts Analytics estimated Mars/Amberjack and Poseidon production to average 532,000 b/d in 2017. Venezuela is increasingly turning to its ally Russia for crude oil, as a dramatic fall in its crude output is pushing the country to import crudes for its refineries. State-owned PDVSA is resorting to importing Russian Urals crude for its 335,000 b/d Isla refinery in the Caribbean island of Curacao as the country's production has fallen to its lowest in almost two decades. PDVSA is said to have bought almost 3 million barrels of Urals crude this year from trading house Glencore, trading sources told S&P Global Platts. Three crude oil tankers have already left from the Baltic port of Primorsk for Curacao this year, with one more tanker expected to load this month, sources added. The Aframax tankers Mareta and Front Lynx discharged in Curacao in late-January while the Waikiki is expected to reach the Isla refinery in Curacao on February 18, data from Platts trade flow software cFlow showed. Representatives at PDVSA and Glencore were unavailable for comment. Russia has been a strong ally to the Latin American country through these difficult times by continuing to bailing out PDVSA. This comes as the OPEC member finds itself in a crumbling financial state as falling oil production plunges the country into economic chaos. The country which relies heavily on crude oil export revenues has seen its domestic refining runs falls sharply due to underinvestment amid a lack of crude to process. Despite being a significant crude oil producer and the holder of the world's largest crude reserves, the country has been increasingly importing crude oil in the past few years. This imported crude is either used as a diluent in its extra heavy oil fields in the Orinoco Basin or used by its refineries which have been struggling to operate at normal rates due to the ongoing economic situation. These crude shipments comes as a lifeline to the refinery which is facing imminent closure due to delayed investments amid a scarcity of crude that have left the industrial services plant nearly paralyzed. Sources also said that Isla received two shipments of US crude in January. Venezuela's state-owned PDVSA first imported Russia crude for its Curacao refinery in late 2014 and it bought a moderate amount of Urals in 2015 and 2016 while flows on this route were completely halted in 2017, sources added. The 335,000 b/d refinery, which has been operated by PDVSA since 1985 under rental agreements with the Dutch Caribbean autonomous territory, is 65 km from Venezuela's coast. The contract expires in 2019 and PDVSA has been told it will be out as operator because of its failure to fulfill its contractual obligations to modernize the complex. The decline of Venezuelan crude production, especially light and medium crudes, has impacted Isla's operations as well as PDVSA's four domestic refineries, which are operating at a combined 35% processing rate, according to sources. Despite recent imports of US crude by PDVSA, the Trump administration is considering new sanctions on Venezuela's oil sector though these are not expected to be put in place till after the presidential elections in April in the OPEC-member country. Venezuela has observed a staggering decline in its crude oil production in the past 12 months as its oil sector has been plagued by spiraling debt, mismanagement, corruption, crumbling infrastructure and a lack of investment, Venezuela's output fell to 1.64 million b/d, a fall of 370,000 b/d since January last year, according to S&P Global Platts OPEC Survey data. This is a low not seen since its oil industry was hit by a major strike from December 2002 to February 2003. Not counting strike-affected months, Venezuela's production was last this low in June 1988, almost 30 years ago. Venezuela's output has fallen for six straight months, and analysts say more declines are likely unless the financial environment in the country improves drastically. GlobalData analysis of the global liquids storage market has shown that the US has the highest liquids storage capacity globally with 2,162 million bbls. Indonesia and China follow with 2,014 million bbls and 660 million bbls, respectively. The US currently accounts for 26% of the total global liquids storage capacity. The country has 1675 active liquids storage terminals. The US is expected to add a capacity of 46 million bbls from 21 planned and announced storage terminals during 2018 to 2021. Indonesia has a 24% share in the global liquids storage capacity this year. The country has 176 active liquids storage terminals. Indonesia is forecast to add a capacity of 54 million bbls from four planned and announced terminals during the period 2018 to 2021. China contributes approximately 8% of the total global liquids storage capacity in 2018. The country has 118 active liquids storage terminals. A total of 10 planned and announced terminals in China are expected to add a capacity of 66 million bbls during 2018 to 2021. The fourth major contributor to the global liquids storage is Japan with 354 million bbls, contributing about 4% of the global total in 2018. The country has 72 active liquid storage terminals. Presently there are no planned and announced projects that would start operations during 2018 to 2021. South Korea is the fifth largest contributor to the global liquids storage capacity with 231 million bbls in 2018, contributing about 3% of the global total. The country has 36 active liquid storage terminals. South Korea will add a capacity of 12 million bbls from two planned and announced terminals during 2018 to 2021. The Netherlands accounts for 3% of the global liquids storage with 218 million bbls in 2018. The country has 39 active liquid storage terminals. Presently there are no planned and announced projects that would start operations during 2018 to 2021. India, the UK, the UAE and Spain account for 7% of the global liquids storage capacity with 537 million bbls in 2018. India and the UAE are expected to collectively add a capacity of 34 million bbls from 12 planned and announced terminals during the period 2018 to 2021.